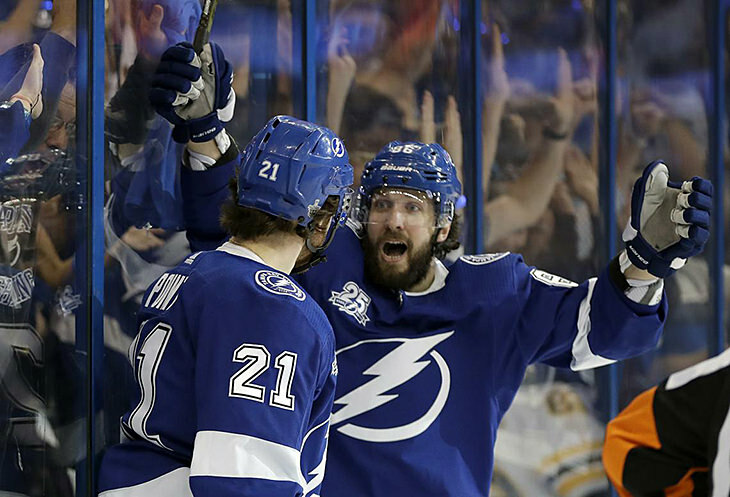 It took over four weeks but the big guns of the Polar Bears finally found their long-lost cache of ammo, Brayden Point (1g, 4a) and Nikita Kucherov (2g, 1a) combining for 18.0 points, the suddenly-charged Bears bagging a Tuesday-best 31.8 points, the once wayback team now just 2.8 steps from the basement exit. Facing a struggling team with an 0-4 record, the SC Cobras were expecting a slither-in-the-park win. Two days into Week 5 that doesn’t appear to be the case, the Polar Bears with the thus-far best score of the week, the snakebitten snakes trailing by 23.5. The Misconducts outscored the Bluliners 12.5 to 11.2 but GM Hamilton’s squad remains in front on the strength of their 7.4 point Monday, the best team in the league leading the 4th place Misconducts by 6.1. The Wild Ducks were good on Tuesday - netting 14.0 points - but the Central Red Army were better, a 15.4 point effort providing the Army with a 1.4 point lead. The Ice Cats could soon become a pain in GM Morgan’s side, the Cats ripping 11.0 points to scoot to within 1.0 point of the banged-up birds. In need of a win, Badger Bob removed 11.0 points from Tuesday, the harvest enough to place them in front of Concussion Junction, the Bobs currently nursing a 3.0 point lead. With five days remaining in the week the Ice Hogs continue to lead the Vegas Vipers, a 9.7 point Day 2 gifting GM Henry a 2.0 point cushion.